MC Escher, the Dutch graphic artist known for his thought-provoking and mathematically-inspired designs, visited the Alhambra when he was in his early twenties. 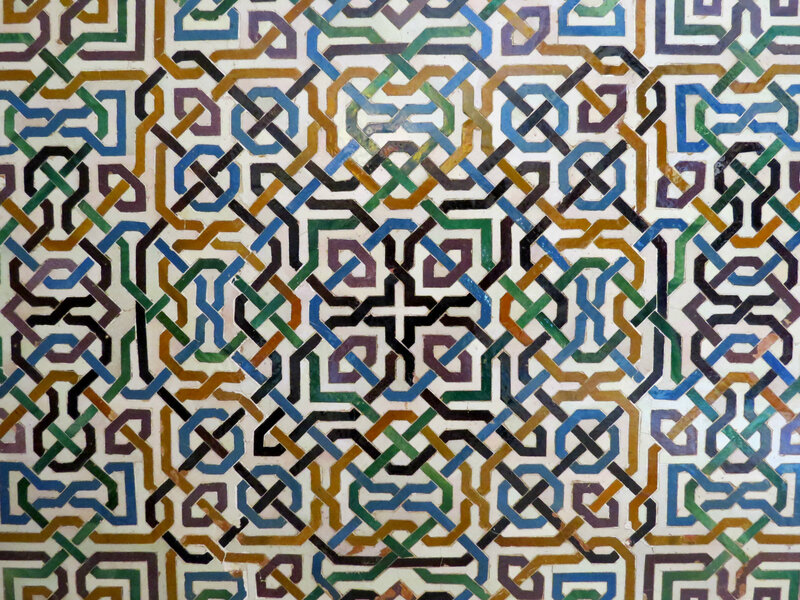 The repeated patterns he saw inspired much of his work, such as the tessellation drawings seen here. 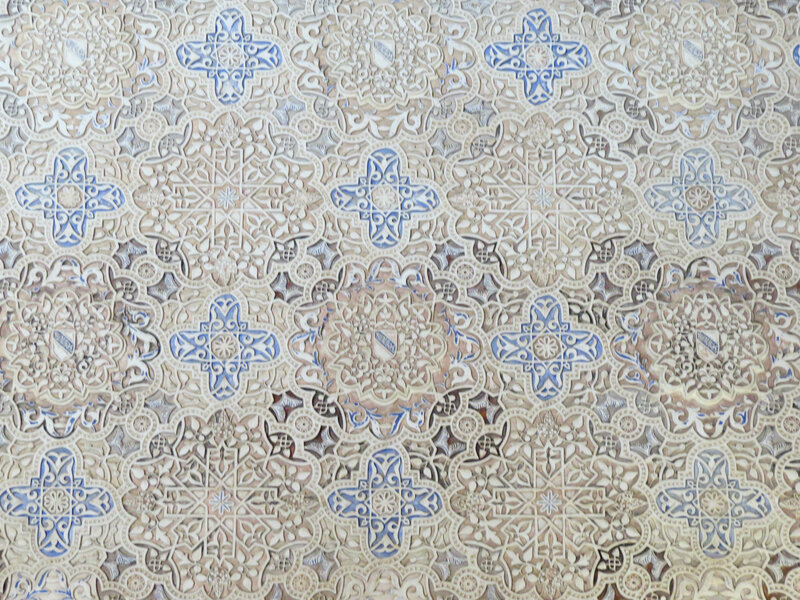 To read more about the Alhambra and its history, see my post on Granada… and Wikipedia.